Federal prosecutors want to retry mob boss Joseph "Uncle Joe" Ligambi and his nephew George Borgesi on racketeering conspiracy charges built around the same evidence that a jury largely rejected in the mobsters' first trial. In a motions filed late yesterday, prosecutors argued that the issues of collateral estoppel and double-jeopardy do not apply to the conspiracy charge that is at the heart of the case. A jury in February could not decide on that charge against Ligambi and Borgesi. Four other defendants were found guilty and one was acquitted. U.S. District Judge Eduardo Robreno is expected to hold a hearing on motions filed by lawyers for both defendants seeking to limit or eliminate charges that can be used in a retrial set for Oct. 15. In fact, Borgesi's lawyer, Christopher Warren, has argued that the conspiracy charge against his client -- the one remaining count for which he is to be retried -- should be dismissed. Borgesi, 50, was found not guilty of 13 counts related to gambling and loansharking. Warren argued that the jury verdict on those counts undermined the remaining conspiracy charge. But Assistant U.S. Attorney Frank Labor, in briefs filed literally at the 11th hour -- yesterday was the deadline for the government to respond and the motions were filed close to midnight -- argued that both Warren and Ligambi's lawyer, Edwin Jocobs Jr., had misconstrued the legal issues in the case. The doctrine of collateral estoppel "does not bar the admission of evidence of other offenses, including acquitted conduct, to prove the manner and means of a RICO conspiracy," Labor wrote. The prosecution contends that it can use the same evidence that was presented in the first trial, including evidence tied to counts that resulted in not guilty verdicts. While layered in legal citations and Appellate Court decisions, the prosecution is arguing in essence that conspirators don't have to commit the crimes in order to be found guilty of conspiring to commit those crimes. 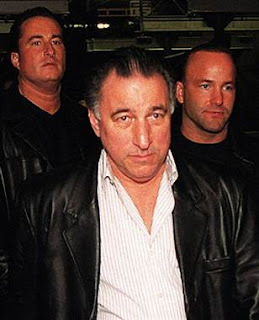 (1) Two or more persons agreed to conduct or participate in the conduct of the affairs of the Philadelphia (La Cosa Nostra) Family through a pattern of racketeering activity or the collection of unlawful debt. (2) The defendants were party to the agreement. (3) They joined the agreement knowing of its objective of conducting the affairs of the Philadelphia LCN Family through a pattern of racketeering activity or collection of unlawful debt and with the intent of joining with one other conspirator to achieve that objective. A court ruling in the government's favor would allow prosecutors to use basically the same evidence and the same witnesses in the retrial that the government used in a three-month trial that began last October. 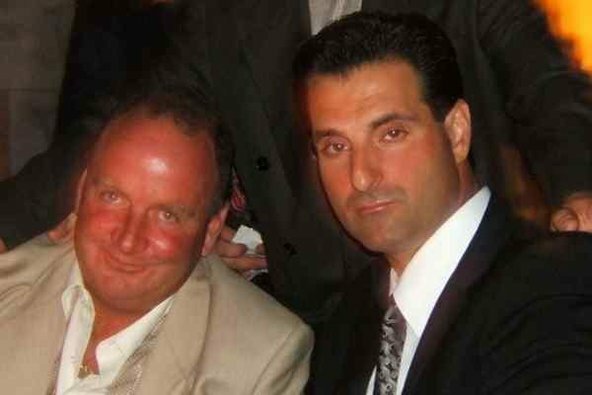 Those witnesses would likely include Louis "Bent Finger Lou" Monacello, 43, a key Borgesi associate who testified at length about a gambling and loansharking operation he said he ran for Borgesi after Borgesi was jailed in 2000 in an unrelated racketeering case. Monacello also testified that Ligambi was the boss of the operation. In fact, Borgesi was behind bars serving a 14-year sentence during most of the period covered by the conspiracy charge. Warren had argued that the jury's not guilty verdicts on specific gambling and loansharking charges showed that the jury had rejected the prosecution argument that Borgesi had conspired with Monacello. Labor argued that the verdict did not necessarily support that argument. 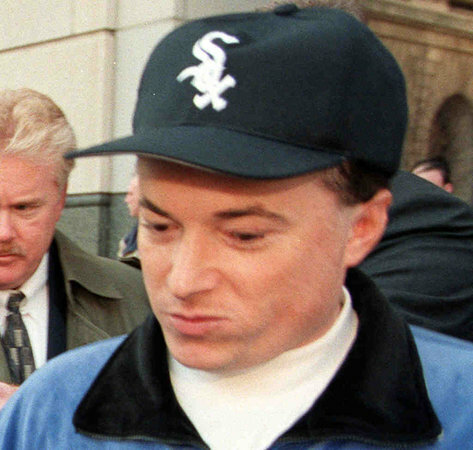 He also said that Borgesi had conspired with Ligambi and Anthony Staino, another mob leader. The prosecution contends that it should not be precluded "from introducing evidence relating to the offenses charged in the substantive counts as circumstantial proof of the manner and means, or overt acts, of the RICO conspiracy," even if a jury returned not guilty verdicts on those substantive counts. It appeared the jury at the first trial wrestled with the conspiracy charge. The panel deliberated for a staggering 21 days before bringing back a mixed and confusing verdict. Only five of the 61 counts in the case resulted in guilty verdicts. Three of the seven defendants were convicted of racketeering conspiracy. (A fourth subsequently pleaded guilty). The jury found the defendants not guilty of 46 other counts and was undecided -- on hung -- on 11 charges. Two of the charges on which the jury could not decide were the racketeering conspiracy counts against Ligambi, 73, and Borgesi. In addition, Ligambi faces two gambling counts and a tampering with a witness charge on which the jury also hung. He was acquitted of five other criminal counts. Both Ligambi and Borgesi have been denied bail pending the retrial. Four other defendants in the case, Staino, mob underboss Joseph "Mousie" Massimino, mob soldier Damion Canalichio and mob associate Gary Battaglini are to be sentenced in July before Robreno. Joseph "Scoops" Licata, a North Jersey-based mob capo, was found not guilty and released after the trial. Six defendants in the case pleaded guilty prior to trial.